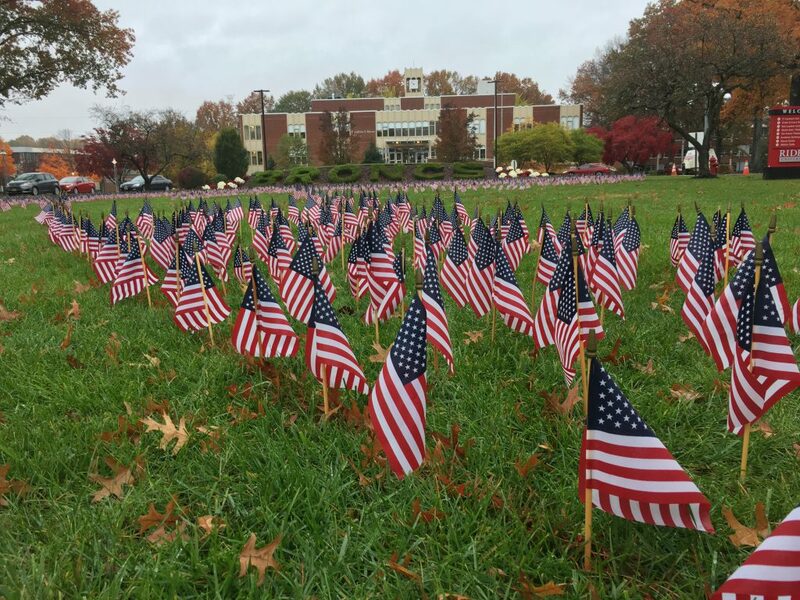 A field of flags were planted on the Campus Mall to commemorate Veterans Day in November 2018. This is just one way Rider works to honor and help veterans thrive in its community. In an annual ranking curated by VIQTORY, an organization dedicated to helping veterans find opportunity, Rider was designated as one of the top military-friendly institutions. “I think there are two things that make Rider veteran-friendly,” said Thomas Reddington, coordinator of veteran affairs. “First, Rider was founded as a business college to educate Civil War veterans returning from the conflict in 1865. We have a tradition of serving veterans. Rider was one of two New Jersey universities honored with the gold designation. Felician University in Lodi, New Jersey was the other institution placed in this category. Reddington suggested the military community on campus should visit the Rider Veterans and Military Affairs Office (VMAO) with issues relating to service and benefits. VMAO hosts monthly events in the pub and offers an information fair with veteran service organizations to help veterans stay involved each semester. “To have the Military Friendly Gold Designation confirms what we already knew; Rider is an institution that truly values and supports its men and women who have served and sacrificed for our country,” Reddington said. VMAO also supports the military community with an annual comedy show that raises money for the Rider Veterans Fund and by hosting events leading up to Veterans Day. “Rider puts its money where its mouth is in supporting veterans, military and dependents,” said Reddington. “Rider has hired a full time Veterans Coordinator. Most schools have a part-time coordinator or none at all. Rider has a lounge and office dedicated to the service, comfort and convenience of its military-connected students, staff and faculty. “Rider has no limits on the number of eligible students it accepts into its Yellow Ribbon program. One Stop Services expend many hours working with each military-connected student and their unique financing and billing arrangements,” said Reddington.